Home English Muhurath set for “KTR Ane Nenu”? After glorious win in Telangana elections, KCR has been sworn in as CM for second time on Thursday. In his winning speech, KCR said that TRS will make impact in National Politics. It is likely that he will get busy targeting centre, hence he appointed KCR as TRS working president. Buzz has it that KTR will be made CM in 6 months. Grand victory of TRS in elections is attributed to KTR’s planned campaigning. The young minister has immense following among youth. He focused mainly on Hyderabad. People have been hailing KTR as good administrator and amazing orator. He has been successful in wooing Andhra settlers as well. KTR won in Siricilla with huge majority of nearly 90,000 votes. Harish Rao who also has equal popularity is his only contender for CM. 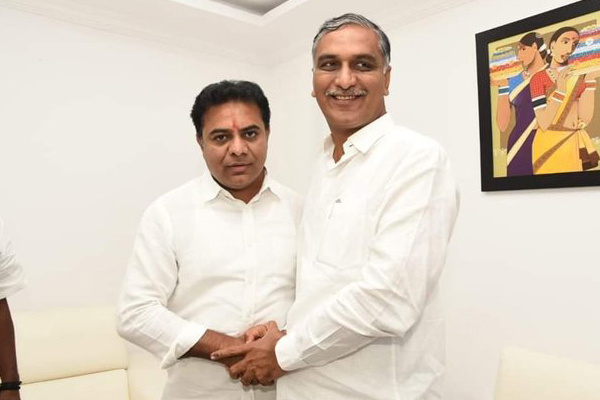 However, Harish Rao too congratulated KTR and showed his solidarity. So, KTR becoming CM of Telangana in six months is eventually becoming certain.